from information to knowledge, from sharing to action. Complexity is the distinctive element of our times. Knowing how to interweave all aspects to create value indicators is the path of analysis, sharing and development we chose to embark upon, from our very inception. Faithful to our vocation as an IT-specialist software solution provider and fervent adherents of the new frontiers of knowledge offered by the context in which we live today, we search out, analyze, interpret and transform the complex data that companies and public entities generate in order to extract new business products and high-performance governance solutions. As a result, our raw material comes from a number of varied and diversified sources: from data relating to an organization, to economic statistics or simply personal data or information about the context in which every individual or each organizaton operates and acts. All of this data—if properly gathered, analyzed, processed and applied using interoperative methods—can constitute an invaluable strategic tool for all decision-making processes in any organization or reference market. And finally, data can provide a true compass for orienting strategic choices, predicting the most likely business scenarios, and indicating the best direction for developing one’s own business and improving performance. Creating these sophisticated knowledge tools that are capable of delineating the future is the ultimate goal of our group. Developing high-tech solutions applied to complex environments requires specific skills that are fully integrated and go far beyond any individual capacity for development, even the most specialized. Study and deep-seated knowledge of the various operational environments, as well as continuous updating of regulations in the different sectors and information flows generated internally and externally, constitute a special feature of Maps Group. • Management of unstructured data. • Processing of large volumes of data. • Human resource management processes. • Information Access Management Infrastructures. • CRM systems and processes, Order Management, Provisioning, Rating&Billing. • Internet traffic measurement and analysis (QoE and QoS). • Operational Intelligence solution on App Logs. • Sector regulations and processes. • Management of regional and ministerial flows (information debt). • Assessment of prescription appropriateness. • Performance Management Models (BSC, LA, …). • Document Management System (DMS). • Human Resource Management System (HRMS). • Supply chain management processes. • Competences regarding environmental regulations, environmental risk management. • Intranet Content Management Systems (CMS). • Data Quality, also with unstructured information analysis techniques. Over the years, the experience acquired in the strategic and operational areas of particularly complex companies and organizations has provided the group with a high capacity for governance of the broadest-ranging and most complex business and service scenarios. Through the development and implementation of services and solutions in which the prerequisites and architecture far-exceed what is simply considered a technological platform, Maps Group today can draw on a wealth of knowledge that includes a range of application dominions and allows what, originally, were closed and inaccessible information systems to dialogue with each other. This is also possible thanks to the interoperable nature of the solutions developed which can be integrated with the various high-tech systems commonly used by our partners on the basis of their particular business and development situations. We act on the basis of a medium-to-long-term perspective and, as a result, trust and long-term relationships are extremely important to the company, both for those who work for us, as well as partners and clients. For Maps Group, mutual respect and maintaining its commitments are not goals to strive for, but rather the starting point, together with the company’s values, transparency and control over the work performed. It is on this approach, consolidated over the years, that our formulas for long-term relationships are based so that we can provide our partners and clients with a continuous presence, both in terms of targeted assistance and consulting for individual goals and functions, as well as working alongside them for the entire innovation process involving the use of Maps Group products and solutions. We develop our high-tech solutions according to quality control criteria that are rigorous, certified and long-term. Attention to the performance quality level is, for Maps Group, an essential element according to the high standards that mark its solutions, and which have allowed the company to excel in its own reference market. The problems inherent in complexity are resolved using a semantic approach, one that correlates data and data gathering systems which, at their source, are not integrable, and then—through suitable processes of analysis, translation and structuring—turns them into information systems that are coherent and functional and, above all, available in real time. Teamwork, a multi-disciplinary approach and a working method that sees in organization the underlying structure for the entire corporate process are the ingredients that Maps Group believes are indispensable for taking on the complexity of the contexts in which it operates and to translate it into knowledge tools to be used to extract valuable information. 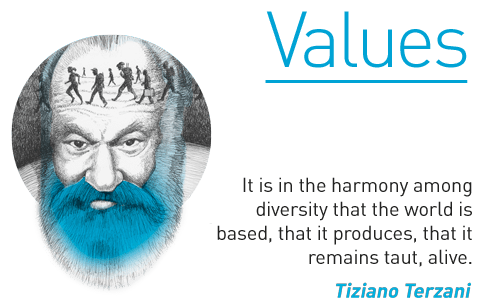 It is on these values that the group bases its fruitful and long-term relationships created with the people and organizations with which it collaborates. The ultimate goal is to develop processes for the analysis, sharing and control of available information with the goal of planning the activities of its partners and clients to significantly improve their performance while playing an active role in achieving the most high-performance goals. Because, it is only by setting the most ambitious objectives that it is possible to attain—step-by-step, following the right approach and with the necessary commitment—those goals which would seem to be the least accessible. example as a shared value. It is not easy for a company to talk about its own values. It risks sounding rhetorical, or self-referential. This is why Maps Group has decided to let other “voices” be heard by dedicating the conference rooms at its headquarters to the men and women who have not only represented those values, but have embodied them throughout their lives. 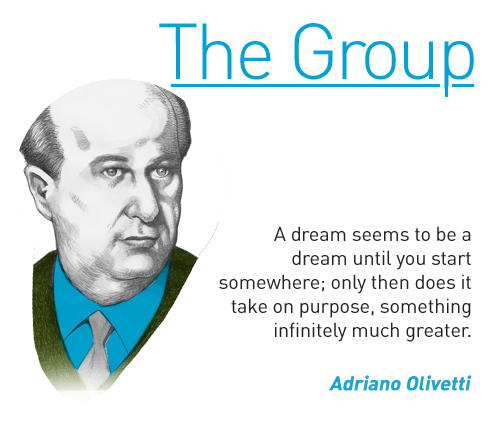 First of all, Adriano Olivetti, the undisputed captain of industry, to describe the driving force behind the group: putting people first, identifying opportunities and the means by which the individual is not only the lynchpin of technical and professional activities, but also those that are important from a personal, experiential and relational standpoint. Immediately following him is Edgar Morin whose “La Tête bien faite” [TN: The head well done] is still an exemplary model in the search for meaning in Man and the society in which he lives. Both guides capable of acting as polar stars in a universe of values whose most profound significance must never be lost sight of. Secondly, attention shifts to the values of control and acting consciously, with the goal of being able to explore and share knowledge. 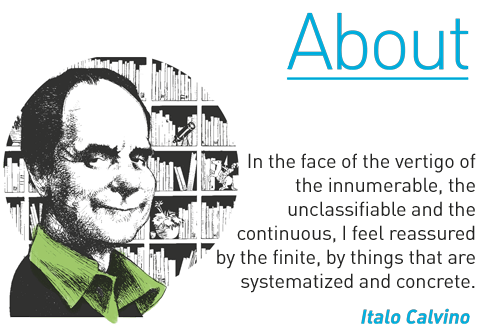 Here the role models are Alan Turing, an extraordinary forerunner in artificial intelligence; Italo Calvino, a visionary interpreter of knowledge; and Tiziano Terzani, the untiring explorer of the human odyssey. Each able to combine various languages and modes of expression into a single lucid and pro-active theme. And, finally, the company’s own North Star, reflected in the most important values for governance: ethics. Courage and professionalism, a pioneering spirit and ability to conduct oneself and others towards a goal that is anything but utopian, can be seen in Giorgio Ambrosoli, a beacon of civil conscience and courage; Loris Malaguzzi, whose excellence as a teacher is reflected in his approach to education and teaching; and Ada Lovelace, a rare example of intellectual and technical emancipation. Each selected because of his or her extraordinary courage, spirit of initiative and broad-ranging outlook, both for the present and the future. specialized in interpreting complex data. Maps Group is a company active in the IT sector that is focused on a clear objective: making data a source of knowledge which can be used in strategic planning, identifying new digital assets and developing business in the most innovative sectors. Having entered the market in 2002 as a software house interested in the most up-to-date development and training methods, by 2007 it was already on its way towards a new industrial project. Its focus shifted to strategic services for the most complex situations, also as a result of the arrival of new partners, new capital and changes in management. 2012 was the year in which Maps focused on new assets with the acquisition and creation of a network of specialist companies: Intext, IG Consulting and Memelabs. 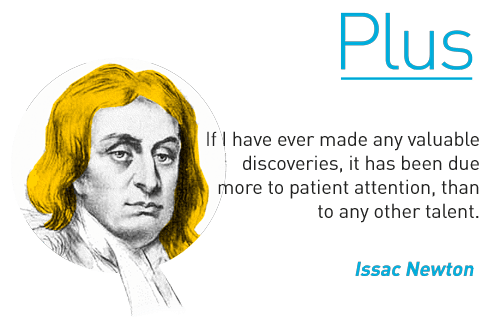 Thus began the development of new products and the company continued to grow, becoming over the ensuing five years, a point-of-reference on a national level for the analysis of big data and knowledge sharing within complex contexts. Software Solution Provider specialized in designing and implementing innovative tools for interpreting complex data and facilitating the sharing of knowledge from a business-oriented standpoint. The solutions it develops are applied in a range of market contexts including healthcare, PA, manufacturing and service industries, and implement new paradigms and new technologies for the analysis of large volumes of data. This makes it possible to shift from the concept of Big Data to that of Relevant Data—in other words, to concentrate solely on that information most useful to the business involved. It has made semantic data analysis an effective tool in systematic assessment of performance and precise management control of public bodies. Its investment in R&D has allowed the company to create a system that can, for example: carry out analysis and reporting to assess the trends detected, measure the suitability of healthcare treatments, and activate two-way communication flows with those players involved. IG Consulting works with governmental bodies, research institutes, public entities and healthcare authorities throughout Italy. A spin-off of Maps Group, it develops systems for information sharing in professional fields. Its team has developed a suite of solutions based on open systems conceived to simplify business-to-business relationships and reduce bureaucratic red-tape, especially in those sectors characterized by strict regulations, complex legislation and regular controls. The initial result of this approach is Greennebula, the cloud system for online management of environmental authorizations and permits.